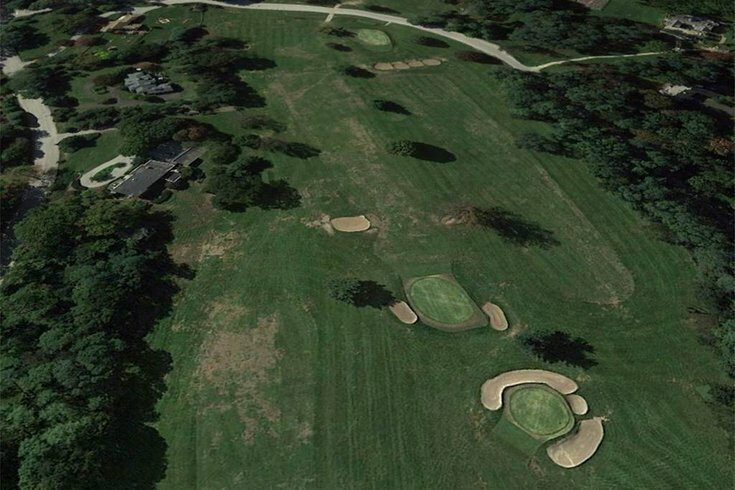 The St. Martin's golf course at the Philadelphia Cricket Club in Chestnut Hill will remain undeveloped in perpetuity. Nearly 41 acres in Chestnut Hill are now permanently protected as open space. The conservation easement granted to the Natural Lands Trust on the St. Martin's golf course was part of an agreement by the Philadelphia Cricket Club to acquire the property from one of the community's founding families for $600,000. Natural Lands Trust, the oldest and largest conservation organization in the Philadelphia region, is empowered "to prevent any use of the property inconsistent with the conservation purposes of the easement, which is designed not only to protect this scenic and historical treasure for use as a golf course but also to serve as an open space buffer for Fairmount Park," according to a statement from the trust. It is the second-largest conservation trust it holds in the area. The deal was originally announced last month by Quita Woodward Horan, George Woodward III and their family. The Woodward/Houston family owned the property for nearly 150 years and leased it to PCC for its nine-hole golf course at the St. Martin's campus since the 1880s. The Woodward family is donating the proceeds of the sale to several local charities. "We are pleased and honored to have finalized this agreement with Natural Lands Trust and The Philadelphia Cricket Club," Charles Woodward, a great-great-grandson of Henry Houston and spokesman for the family, said in a statement. "In conserving this acreage we are securing and promoting an important legacy of open space in our community. At the same time we are extremely pleased to support three local charities we care deeply about: Natural Lands Trust, the Chestnut Hill Historical Society, and the Church of St. Martin-in-the-Fields." "We are very pleased to have been a part of this historic transaction, for both our Chestnut Hill community and for The Cricket Club," PCC President Michael J. Vergare said in a statement. "We look forward to working with Natural Lands Trust to preserve this open space, which has served as a historic venue for golf for more than a century. We are exceedingly grateful to the Woodward family for their extraordinary generosity in making this possible." The St. Martin's layout, the original nine-hole course at PCC, was built in 1895 by famed architect Willie Tucker, then expanded to 18 holes about two years later. It hosted the U.S. Open Championship in 1907 and 1910. In 1920, the club commissioned one of its own, the renowned golf course architect A.W. Tillinghast, to build an 18-hole course in Flourtown, Montgomery County. It opened in 1922.